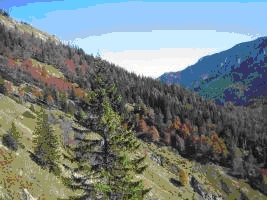 In Austria, sustainable forest management is implemented within an established legal framework. Forest enterprises, wood industry, sawmill and paper industries provide in total some 50,000 jobs. Furthermore, many of the 145.000 forest owners earn more or less an additional income from the forest. Private forests of less than 200 hectares accounts for 49. 2 %; private forests of more than 200 hectares accounts for 21.5 %; Federal Austrian Forests (Österreichische Bundesforste AG) are 15. 5 %; Community forests are 10. 3 %, Communal forests are 2.1 % and Provincial forests are 1.4 %. Austria is the only country in the European Union demanding from forest owners with forest property larger than 1000 hectares to hire certified professional full-time foresters. Furthermore, there are forest experts from the Provincial Chambers of Agriculture and the Forest Authorities who assist small-scale forest owners with counselling services and practical advice. Thus, well trained forest experts are intensively working for Austria’s forests on their entire area. 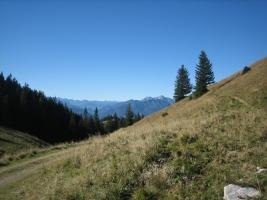 In order to ensure the interests from forest use under a sustainable forest management as best as possible, the Federal Minister of Agriculture, Forestry, Environment and Water Management already initiated the Austrian Forest Dialogue under the motto “forest concerns us all!” in April 2003. 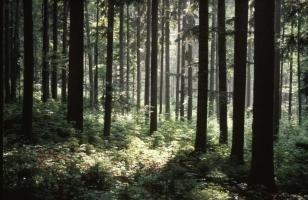 The management of Austrian forests is formed to a great extent by forest owners. The framework for sustainable forest management is defined by politics, whereby the Austrian Forest Dialogue plays a major role in the dynamic establishment of this framework. The first Austrian Forest Programme is an important result of the Austrian Forest Dialogue. All actions and activities of the forest authorities are based on the 1975 Forestry Act as amended. For the implementation of the Forestry Act, carried out by indirect federal administration, responsibility falls under the District Administrative Authorities first, then under the Provincial Governor and last under the Federal Minister of Agriculture, Forestry, Environment and Water Management.